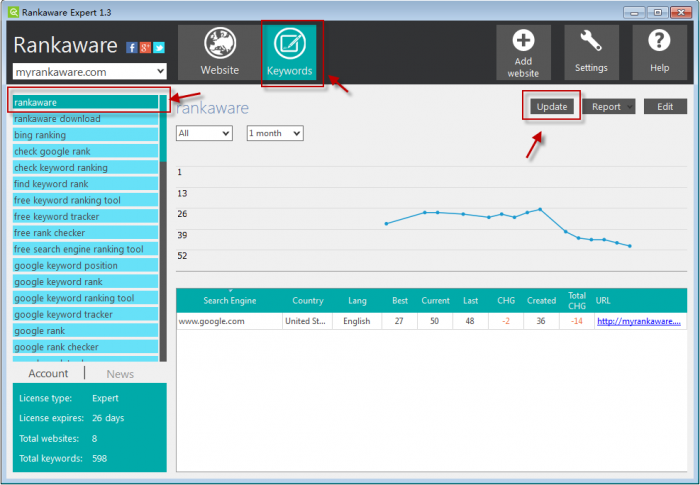 To update a single keyword please go to the keywords window and select the keyword you want to update. Then click the “Update” button. We do not update keyword for website.